Is your mother an avid gardener who spends hours tending to her garden, lovingly nurturing and caring for her plants? 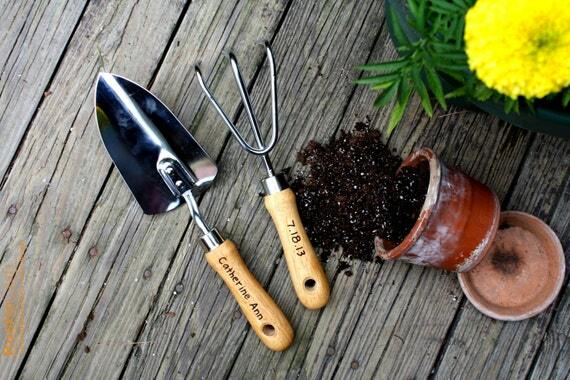 Here is a list of the most gorgeous gardening tools that you can buy as a thoughtful gift for mummy with the green thumbs this Mother’s Day. This is a hand-crafted watering can made from the finest oxidized copper that looks like it will be handed down from generation to generation. Even if your mother were to hang up her gardening boots one day, this watering can also be placed in the home as a decorative item. 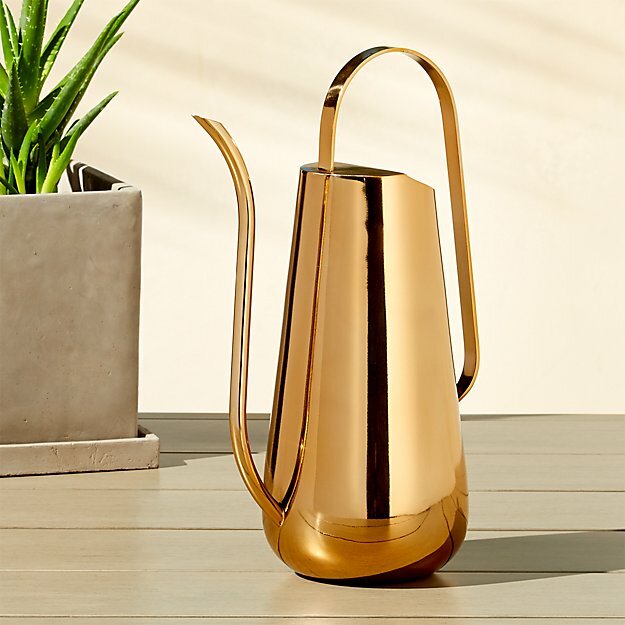 This super sleek watering can looks like it belongs more in an art deco museum than in the garden but it certainly allows you to garden in style! This is perfect for the style-savvy mothers out there. Crafted by skilled artisans, this mini gardening can is as exquisite as it is functional. Because of its smaller size, elderly mothers can be rid of the burden of carrying the usual watering cans that are bulky and heavy. 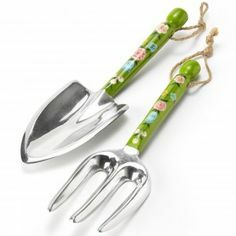 If your mother loves colorful household items, then this is the fork and trowel set that she must own! The handle of this set comes in a lovely green color with pastel accents that will definitely brighten up the garden even more. Elegant and understated, this is the perfect trowel and fork set for a classy lady, which makes it the best buy for your mother! This practical fork and trowel set with hardy and rustic wooden handles are completely customizable and you can engrave a sweet, intimate message to mummy dearest on them. Let the sentiment and your love last a long time! These gorgeous plant pots will add a chic bohemian vibe to any garden or home. The vibrancy of the beautiful colors will not only brighten up any room but will work to lighten up your mood as well. Make your own DIY beautiful plant pots and let your heartfelt sentiment be known. These gorgeous pots have been given a completely different look with the addition of lace strips; you can make these by crocheting them from delicate cotton yarn or simply buy stickers that come in a lace design. These plant pots are great to place at home topped with luscious green leafy plants or striking colorful flowers. 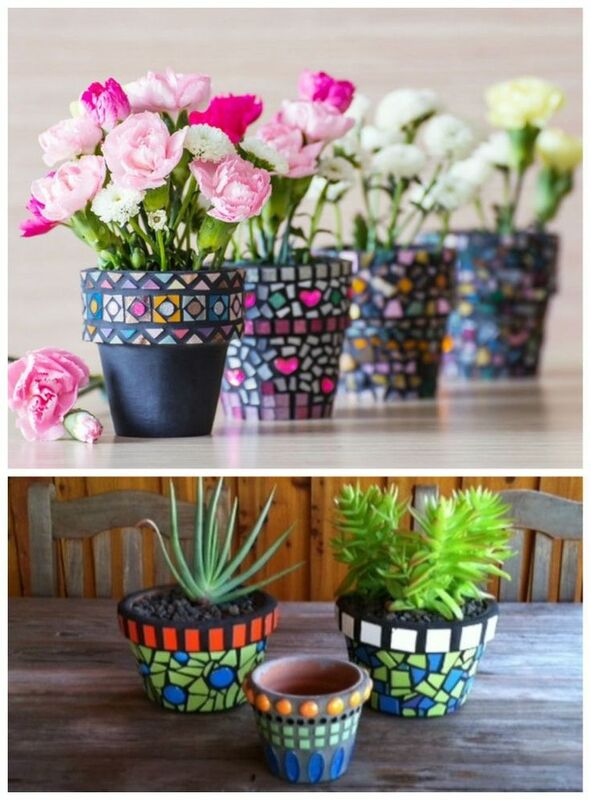 Despite their small size, the visual impact they offer make these tiled mosaic plant pots a wonderful gift that is sure to bring a smile to your mother’s face. Whatever gift you choose to present to your mother this Mother’s Day, remember that it is the thought that counts. Just put your heart and soul into selecting the perfect gift for the most important woman in your life and she will love it no matter what it is. Happy Mother’s Day!